I have seen Dr Denning on the TV and read her book and I would like to come and see her, how can I arrange this? Do I need to come back and how often? Why do I need a follow up to get test results? Can I get it covered it on insurance? Can I get a test for food intolerances? Can I get tested for mineral and vitamin deficiencies? To book an appointment with Dr Denning you need to ring her personal assistant Tosh on 0207 224 2423. You will be sent a medical questionnaire and typical 4 day diet sheet prior to your visit by email. You will be expected to fill this out and bring it with you to your first appointment, where it will form an important part of the consultation process. Dr Denning will go through your medical history and examine you and then with your input devise a dietary, exercise, lifestyle, treatment and supplement plan for you to follow. Generally every patient needs at least one follow up after an initial appointment. They are very important for assessing your progress and you may also have test results to discuss. Follow ups are usually 30minutes. Follow ups can be conducted over the phone if you have a long way to travel but are charged at the same rate and booked in the same way. We have found that many people find the test results difficult to interpret and so really appreciate the opportunity to have a trained practitioner go through them. Often the test results bring new information that has to be incorporated into the initial plan that they gave you and they will need to talk this through with you. In our experience the follow up consultation can be just as important as the initial consultation. Unfortunately most of our consultations and treatments are not covered by UK based insurance policies with the exception of BUPA International. However most foreign insurance companies cover our services and some UK based plans will cover the cost of the tests so it may be worth checking this. Yes we can do that for you. You need to see either a nutritionist or a doctor first and then we can arrange this for you. The test is a blood test and this will be performed by a nurse at The Health Doctors and sent to the laboratory. Yes we can do that for you. 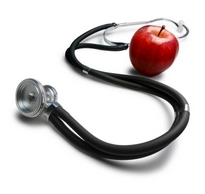 You need to see either a nutritionist or a doctor first and they will help you decide what you want to be tested for. These are blood tests and this will be performed by a nurse at The Health Doctors and sent to the laboratory. These vary and so it is best you give us a call. Generally we should be able to get you an appointment with one of our doctors or nutritionists within a few weeks.